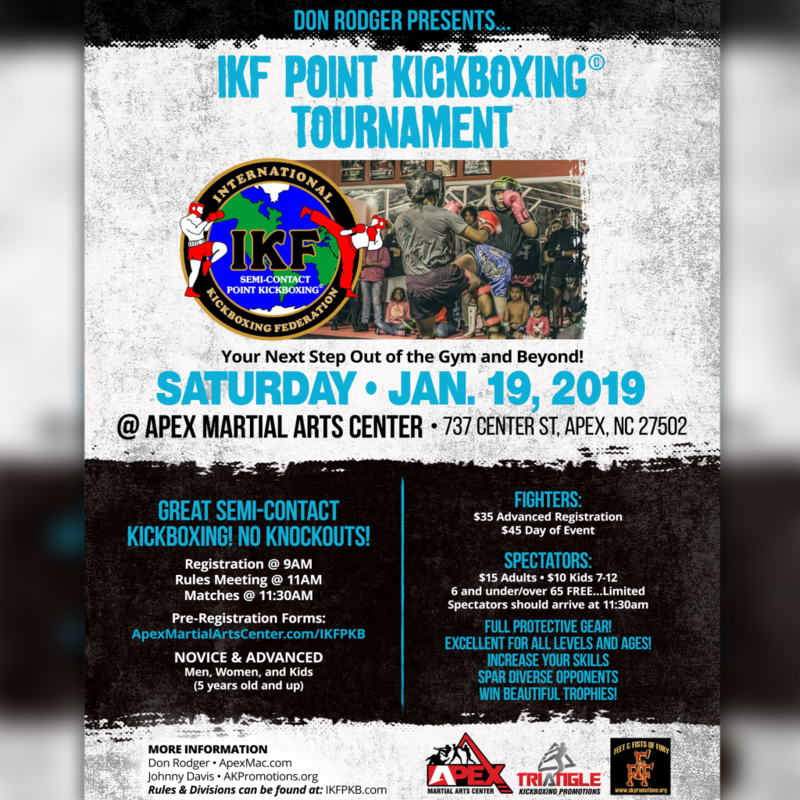 Our 8th edition of the TKP/IKF Point Kickboxing Tournament is scheduled for Saturday, January 19th at Apex Martial Arts Center. If you are an up-n-coming kickboxer and want to get your feet wet in kickboxing competition, come out and have some fun! There are no knockouts allowed. Bouts are 2X2-minute rounds. Fighter registration is now available so register early to reserve your spot in the tournament.